Christmas Marketing Campaigns are a great way to reach out to your customers and prospects, providing a fantastic opportunity to be creative and fun with your marketing. If you are in need of some inspiration for your Christmas marketing, carry on reading for some ideas & advice. This is the perfect way of getting in front of your clients over the festive period and giving them a token of your appreciation. You could offer them one of your products or a trial of one of your services. Trying to think of something to offer your clients may seem a little hard, just make sure that it is useful and relevant to their needs. Why not have some Personalised Christmas Cards created for all of your current, potential or warm leads? It will give them a reminder that you are thinking of them and thanking them for their business over the past year. Or why not send out an end of year newsletter detailing what has happened over the last year and what you are looking forward to in the New Year? Make the most of the Christmas period on social media, decorate your profile pictures and cover images to add some Christmas spirit. Consider sending posts looking back at the past year and talk about what’s coming up in 2019. If you are closed over Christmas, let people know your Christmas opening & closing time and think about scheduling some posts during this time to maintain your brand awareness. 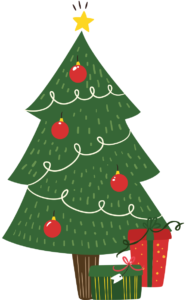 Incorporating Christmas into your email marketing campaigns is a great way to market your business. It could be promoting your holiday deals, thanking customers for their business over the past year or letting people know your Christmas opening times. You may have specific seasonal offerings that you want to promote. With our Mailing, Print, Fulfilment and Postage services we will be able to work with you through all of these processes. With over 20 years’ worth of knowledge in the industry we are able to advice on design and the most cost effective way to package and post your campaign. As Christmas is approaching keep in mind the Recommended Last Posting Dates for Christmas. If you would like to find out more about how we can help with your upcoming Christmas Marketing Campaign, contact one of our account handlers by emailing info@firstmailing.co.uk or call 08456 349522.